We are looking forward to welcoming you to our new showroom at Walwick Farm. It is situated on Hadrian’s Wall just outside Chollerford within easy reach of the historic town of Hexham. We have a brand new collection of hats, fascinators, and perchers to show you. 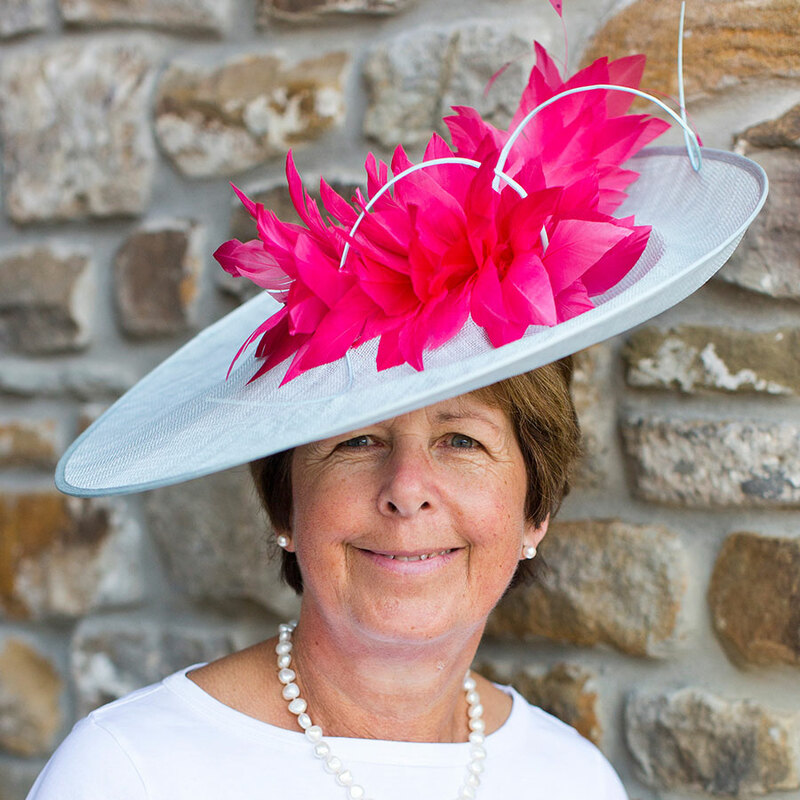 It is our aim to provide a comfortable and relaxed atmosphere to ensure you receive the best possible service in choosing the perfect hat for your special day. Do bring your outfit with you, we have an excellent changing area. Our opening times are flexible but a telephone call beforehand would be appreciated. There is plenty of parking space and the showroom is on the ground floor with one step. As we are on Hadrian’s Wall you can also visit some of the Roman sites as well as Hexham and Corbridge with their independent shops and cafes. From Newcastle take the A69 towards Hexham, then take the filter signed to Acomb and Rothbury (A6079). Drive through Acomb and then Wall and at the crossroads turn left towards Chollerford. Cross over the river turn left at the roundabout signed (Carlisle B6318). Approximately a mile along the road you will pass a sign Walwick we are the next turning on the left, follow the signs.